Home/ Blog / Question and Answer/ Open For Business? Following is my Q & A for the April issue of the Mammoth Real Estate Times. Since I wrote this column, the volume of non-residential transactions here in Mammoth continues to amaze me. In the meantime, we have a record snow year. 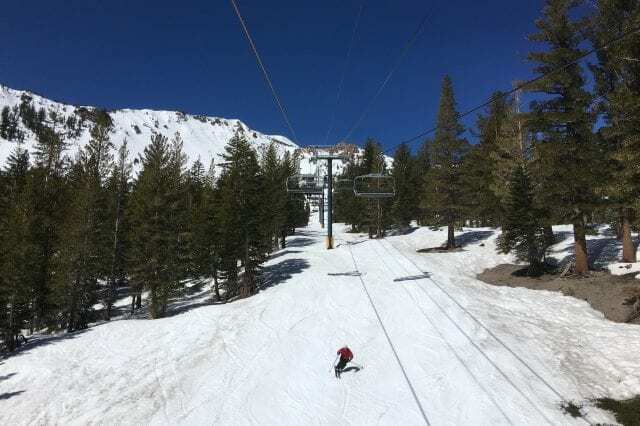 For those of you who have never experienced the great spring skiing in Mammoth, the next month or two should be exceptional. Q: Some of our favorite businesses are closing their doors and all we hear around town is that other businesses and property are being bought up for very high prices. What is going on? A: Speaking of going out of business, I’ve been craving a Hot-to-Go burrito for about the last 20+ years. What happened? So what is going on? Some of it is just the natural attrition of businesses. Business failure is quite common in this country and certainly has been in Mammoth over the past decades. I am always reminded of the saying “a business can stay in business as long as it can keep paying for its mistakes.” Some of the businesses are victims of new world, mostly the effects of an Internet society and new business models. Shopping and ordering online has changed life in this small town, some of it for the good and some of it for the bad. The success of companies like Amazon and Netflix are prime examples. (Oops, I just bought my last pair of skis online.) Some of the closings are and will be due to acquisition and redevelopment of entire blocks. Those businesses may get a second life somewhere. 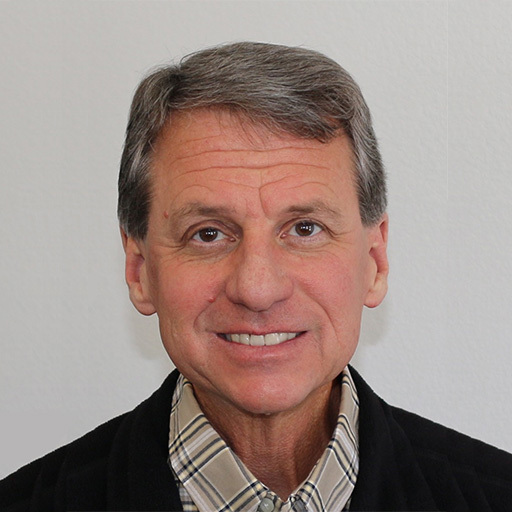 The increasing cost and difficulty of doing business in Mammoth is certainly playing a role. New businesses especially have a difficult time attracting and retaining quality employees. Rent, wages, insurance, utilities, and snow removal just keep going up. (There’s a reason all of these restaurants were/are on the market.) And many of the new landlords (whether apartment or commercial) have paid large prices for their new babies and have very high expectations of where they can push rents. The new commercial district known as “the Village” has certainly provided competition. Business closings and commercial vacancies were common when the ski numbers were down in the 1990’s. With the increased skier days, how much new commercial can we absorb? Some of the most successful (and likely profitable) businesses in town are those based on old models–they have low, long-ago-paid-for cost of entry. And many of those businesses are looking to sell or close their doors and retire. The other 800 lb. gorilla in the room is the seasonal economy. Many successful national business concepts and franchises won’t expand to a seasonal economy–they simply demand demographics that assure them business 12 months a year. Starting a business in Mammoth today is tough for an owner needing a relatively quick return on investment. But that is typical of many new business owners in Mammoth–they don’t need a quick return on investment. Many new business owners and investors are bringing their wealth with them. They are established some place else and for lifestyle or tax reasons can have a long-term outlook. Mammoth has changed. This scenario has been played out many times before in resort towns like Mammoth. But how many trustafarians or affluent second-home business owners want to put up with 600-inch winters? We’ll see. I look at my own industry. 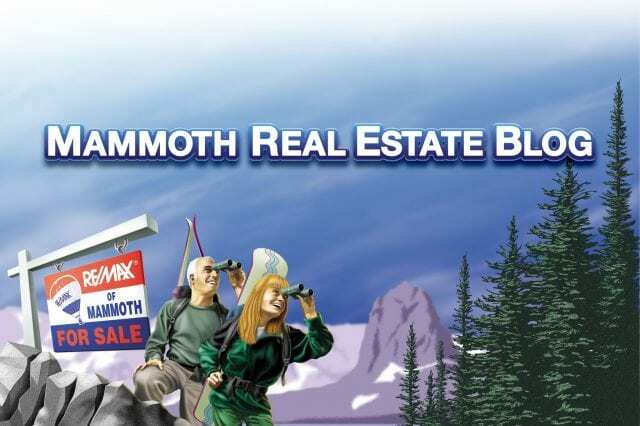 The real estate business in Mammoth has never been more fragmented then it is today. Many agents have become their own brokers and work out of their homes or small offices. The classic old brokerage synergy is almost non-existent. The Internet can give a broker a big presence with very little substance (or experience) at all. And when things inevitably slow down some of us will retire and others will have to find jobs (I’m still looking for the doorman job at the Ritz.) Other professionals are in the same boat. Attorneys don’t need big offices with libraries any more–it is all available on their laptops. And how many tienda/check-cashing stores will we have when the building boom is over? And I really miss the Chinese restaurant that closed after the cooks dragged a road-kill deer through the front door of the Sierra Centre Mall. That was my kind of place. I miss happy hour at Las Mas and the Cask. The Boulangerie was light years ahead of its time with fancy coffees and a massive selection of micro-brews. I guess it is all part of the evolution (or for some the devolution) of Mammoth. P.S. Thank you very much for all of the great comments on my last column. There is no way I could respond to all of them. As for the two unhappy souls who called to express their dislike…Mammoth is at a critical point. Please speak out and discuss the future of Mammoth, and hopefully the new powers-that-be are listening. Real Estate Q&A––Double-Dip or Long, Strange Trip? Nice article. It's nice to see good insight into the Mammoth Real Estate Business. 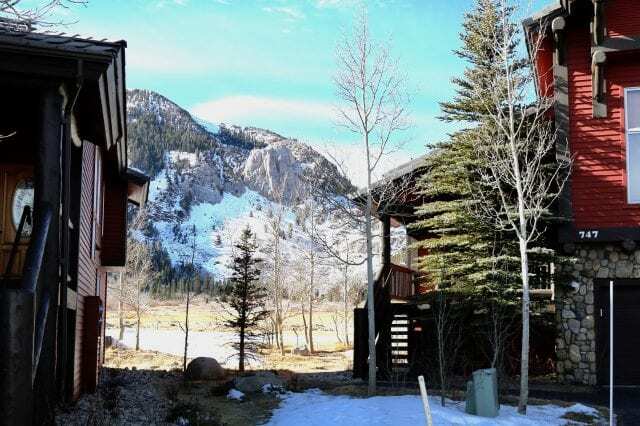 Check out https://123mammothcondo.com which is a new website we created that may be of interest to your readers. Thanks!